A 72-year-old man brought his wife into the urgent care center because she woke up with a raw throat and fever. 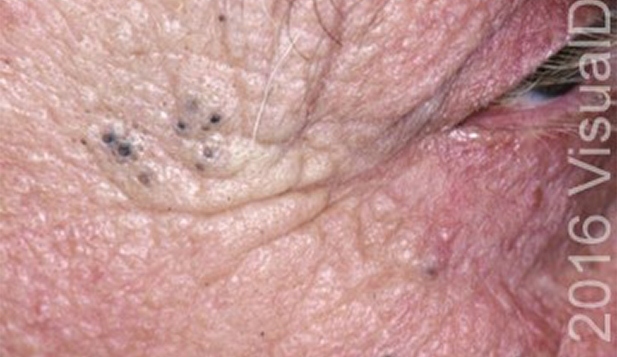 However, he also asks to see a clinician to ask about multiple black skin lesions on his cheeks and eyelids. Once in the exam room, he notes that he spent more than 40 years in the landscaping business, getting considerable sun exposure. He knows that put him at risk for skin cancer. In addition, he recently quit smoking after 48 years.